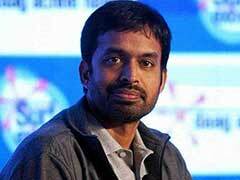 Pullela Gopichand also discloses why he didn't allow cakes to be cut when Kidambi Srikanth became world No. 1. Saina Nehwal was back with a bang, as she walked away with two gold medals from the Commonwealth games 2018, but she had made headlines even before CWG 2018 began at Gold Coast, Australia, when her father's Harvir Singh Nehwal's accommodation in the Games Village became an issue and the shuttler reacted angrily, threatening to walk out of the Games if the problem was not sorted immediately. "I cried that night after long journey when they said father does not have accreditation," Saina told NDTV. "I will fight for my parents or people who are close to me, the respect should be there, it is not about the money, I will pay whatever is there, it is not right to insult someone after reaching there. "I have to focus, I had to play the team championship in two days. 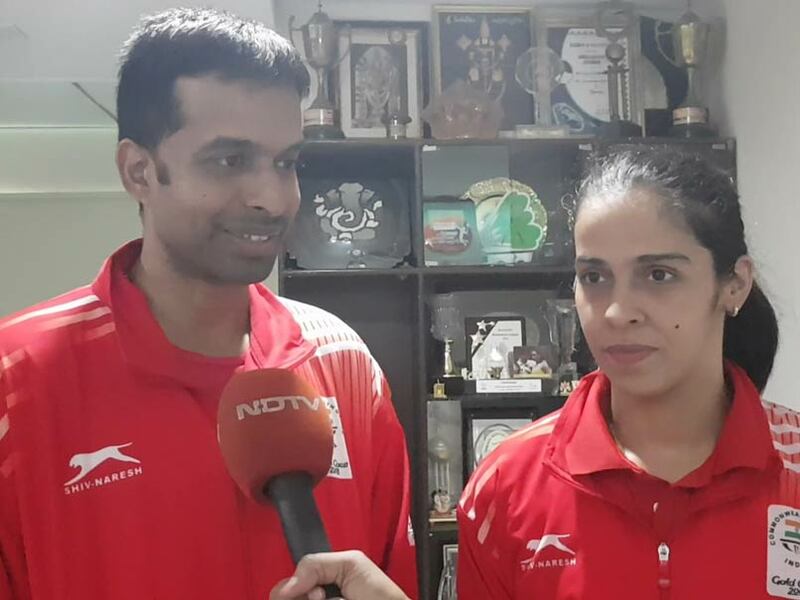 Thankfully Gopi sir (coach P Gopichand) was not there, first day I did not even go for practise because I was upset," Saina said. "If Gopi sir was there, he would have said it is not right for someone coming to the Games, such a big event but I had to take a stand. Of course it is bad but I just wanted everything to be settled fast and I can get back to practice," she added. "Finally, I was happy my dad was there to witness me winning two golds and that was a blessing for me to have him, Gopi sir and everything was right and I become a great daughter fighting for my dad, after winning it." Saina met PV Sindhu in an unprecedented women's singles final. "It is challenging to play someone from your own country," she said. "More tough to play someone you know. Gopi sir spoke to us not so much about match but about how to behave and react after match. "He told us, 'make sure you both are friendly and happy with each other's performance'," Saina added. "I did not watch the Saina-Sindhu match," Gopichand said on his part. He had briefed both jointly before the final. "It was very prestigious that for the first time in final both were Indians," Gopichand added. "I was relaxed because we were getting both gold and silver." "It is important to get big picture that India wins both gold and silver," he stressed. "People will remember India won gold, so remember that is what I told Saina and Sindhu." "Rivalry helps, competition helps, togetherness in training camps helps. Healthy rivalry raises the bar at the highest level, not to pull each other down is important," he added. Saina said Kidambi Srikanth reaching the world No. 1 ranking made a tremendous difference. "After me, Srikanth made it to the top of world and everyone started believing that we can be the best." For all his mild exterior, Gopichand can be a tough taskmaster. He did not allow celebrations after team championship victory or Srikanth becoming number one. "(It was) a big tournament and it was important to focus. Its very easy get distracted, important to put your head down sometimes. "After a big team championship victory you might be in a celebratory mood, we did not have any celebration in the middle of the event. "Then Srikanth was world No 1 and they said let's celebrate, let's cut a cake. 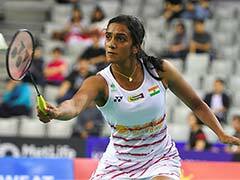 I said this can wait, you need to put your head down," Gopichand said.